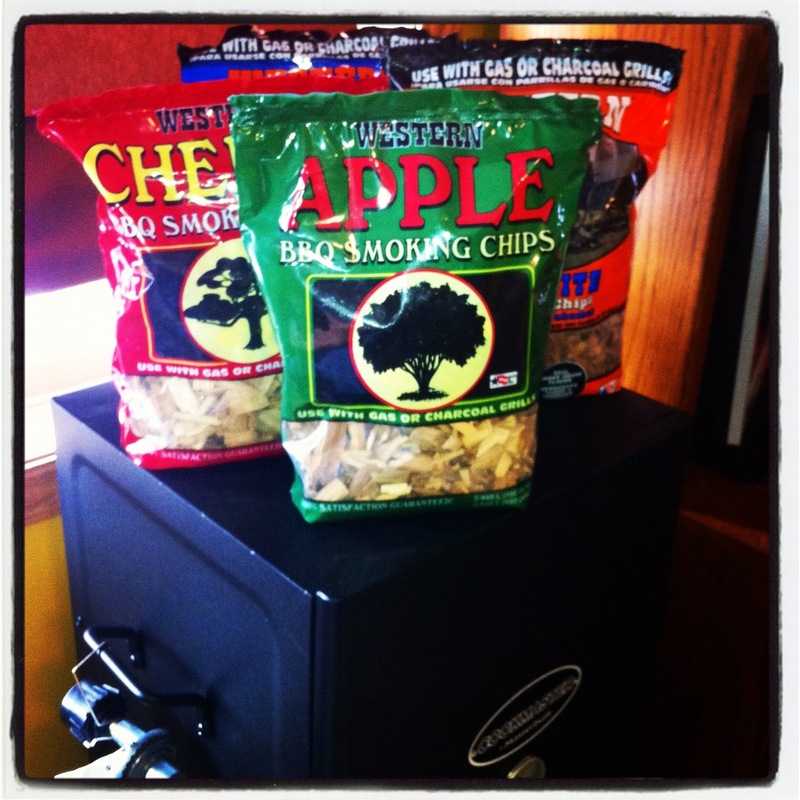 Oh yeah baby, it’s Smokin’ time! – Who Eats Like This? Oh yeah baby, it’s Smokin’ time! Hi friends! Okay, so after letting my Christmas present sit in our family room, taunting me, for 4+ months, I finally hauled it outside and gave it a go! I have always loved smoked & grilled food….that wicked smell lingers on your hands and in my most recent experiences, in your hair and clothes! I hated to wash it away….. 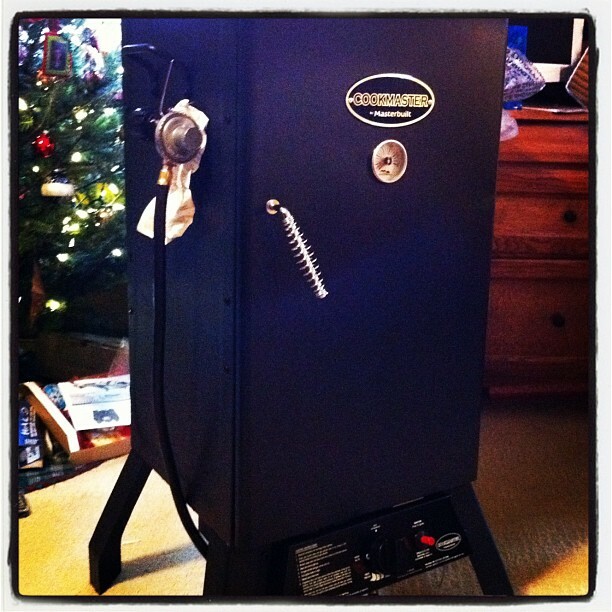 So let’s talk about my smoker: I have a Masterbuilt Cookmaster propane smoker. The hubby got it from Gander Mountain. It has three shelves and overall seems well made. Somehow in the time we had it inside, the front door seems to have warped, but I can probably bend it back into place. Anyway, I am happy with the results I have experienced so far. So, some of you know I am a Gemini. What does that have to do with this post? Well, it’s my excuse for why it took me so long to get this smoker in action. We had a really mild winter here in Minnesota, so I realistically could have gotten out there a month or two earlier. The one side of me (Gemini connection coming now…) wanted to start right away, just throw a bunch of stuff in there and go! But the other, more responsible side (if you are Gemini, or know one, you’ll get this part) said “hold your horses girl, we gotta do a little research first…”. 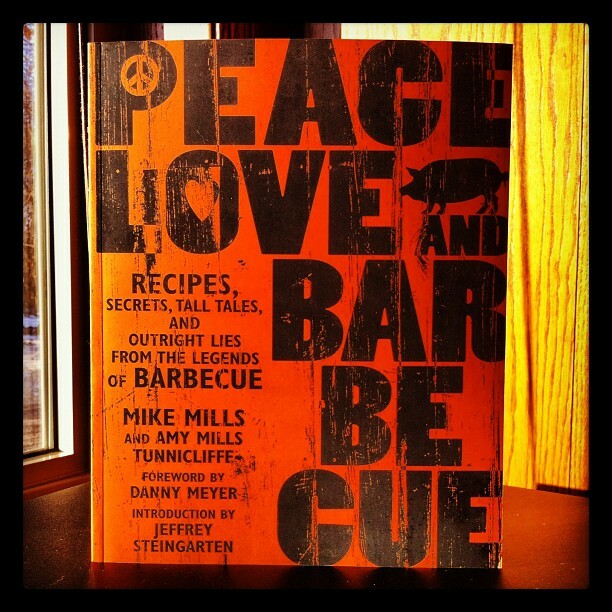 I had to get a Barbecue cookbook, and thanks to Mike DeCamp, Chef de Cuisine at La Belle Vie in Minneapolis for his recommendation, I purchased “Peace, Love and Barbeque ~Recipes, Secrets, Tall Tales and Outright Lies from the Legends of Barbeque”, written by Mike Mills. You can find it here on Amazon. I had to get at least four different kinds of wood chips. I’m starting with Apple, Cherry, Mesquite & Hickory. I bought a combo pack of Western brand chips at my local Gander Mountain. I read smoking blogs and websites (see below) and finally thought I felt like I knew what needed to be done. Yeah, so I was as ready as I was gonna be. 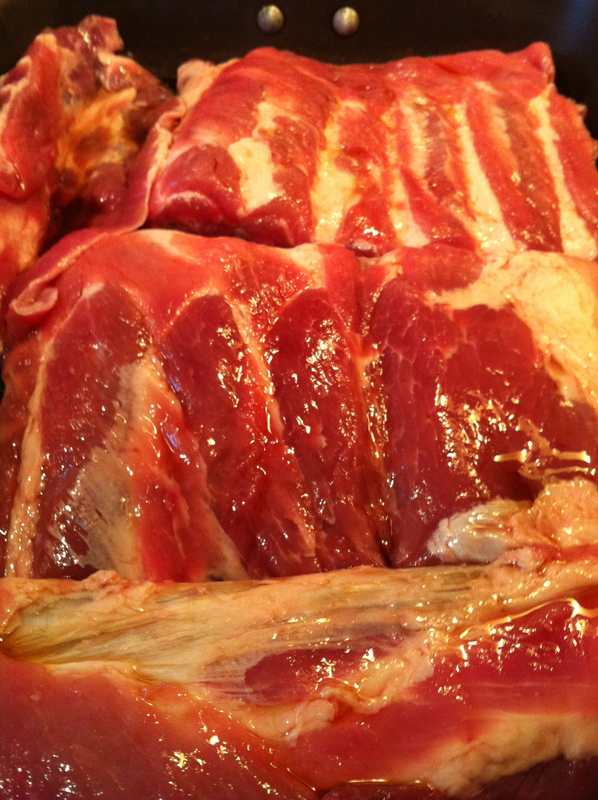 I thought I would start easy, with pork spare ribs. 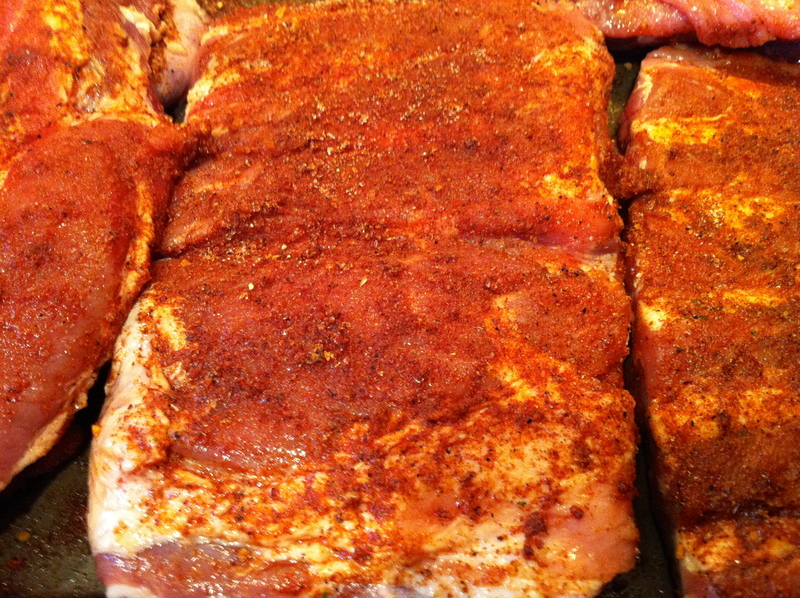 We make ribs at home often and have a dry rub we’ve used for a long time. 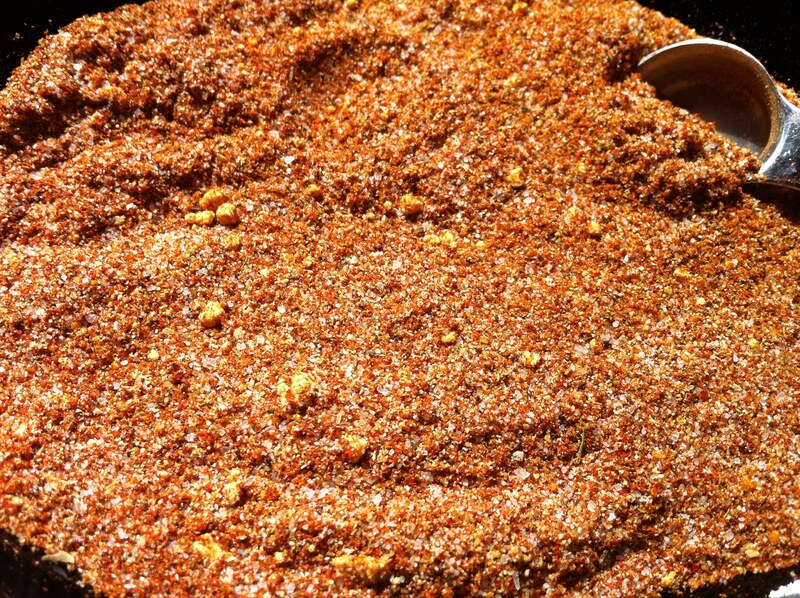 But I wanted to try something different, so I made the “Magic Dust” rub I found in my cookbook. This will make about 2 1/2 cups which you should put in a tightly covered container. I started by cutting down the rack to more manageable size pieces. They suggest you remove the membrane from the back of the rack but after attempting to for several painstaking minutes, I decided to skip that part. (I’ve always left it on when cooking my ribs previously and it never bothered me) I then slathered the ribs with the dry rub and let that marinade for a couple of hours. In hindsight, I would have let it marinate a bit longer……yet they were still amazing! Ok, ribs cut down, check. Dry rub marinated for two hours, check. (here comes first mistake) Wood chips (I used Apple wood this time) soaked, check. 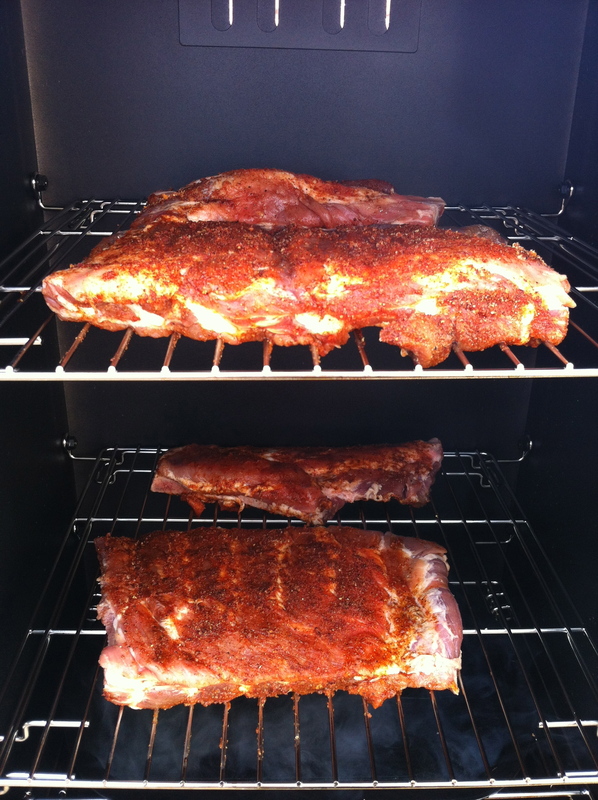 (only a short time….definitely do longer next time) Smoker heated up, check. Let’s do this! I placed the ribs on the racks inside the smoker, which was set at 200 degrees…for the moment…closed the door and took a deep breath. According to the smoking chart I received with my smoker, I was to smoke the ribs, at 200 degrees, for 2.5-3.5 hours. One important thing I learned from the cookbook and all the websites & blogs I have read, was that you needed to check the smoker every twenty or so minutes during this process. In other words, don’t plan to watch a movie or mow the lawn…you are on stand-by. This also doesn’t mean opening the smoker door, but checking that the temperature and visually noting the smoke level. This is where I started to have my first challenges. It was a bit of a breezy day, so I feel like I struggled with the temperature for those 2+ hours. I also noticed that after only about fifteen minutes, there wasn’t any smoke coming out. 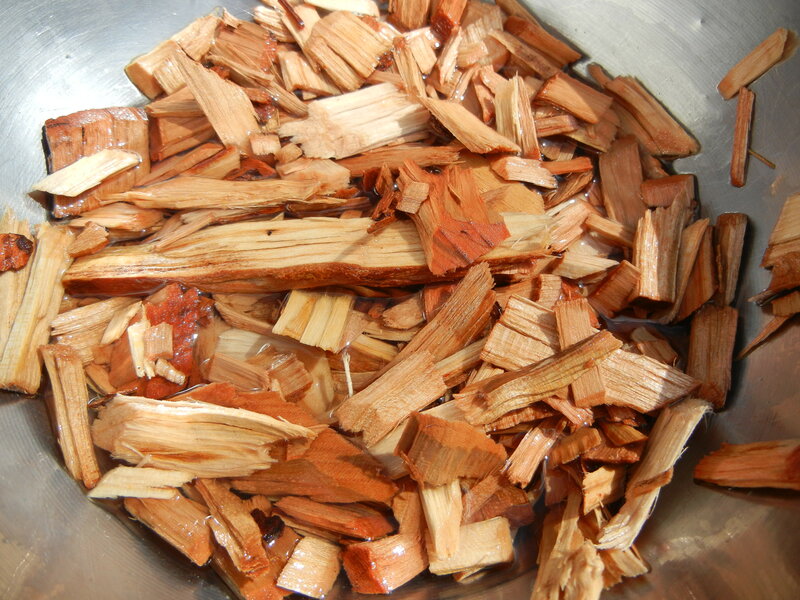 In that short amount of time, the wood chips had already burnt up. This is what happens when you don’t soak them long enough. After replacing them FOUR times, I decided that next time, I would soak them for at least four hours…if not longer. I also wanted to wrap them in aluminum foil to help keep them from burning too quickly. Speaking of foil…I also made a note that next time I would try to wrap the ribs in foil for the first hour…don’t get me wrong, these ribs turned out great, but this would help them to be a bit more tender. I did make a little basting liquid, basically of the rub and water, and gently coated the ribs each time I went in and checked the chips. After the 2+ hours, the ribs were finally done! I served them with your basic baked potato and corn. The ribs were the star of this dish! 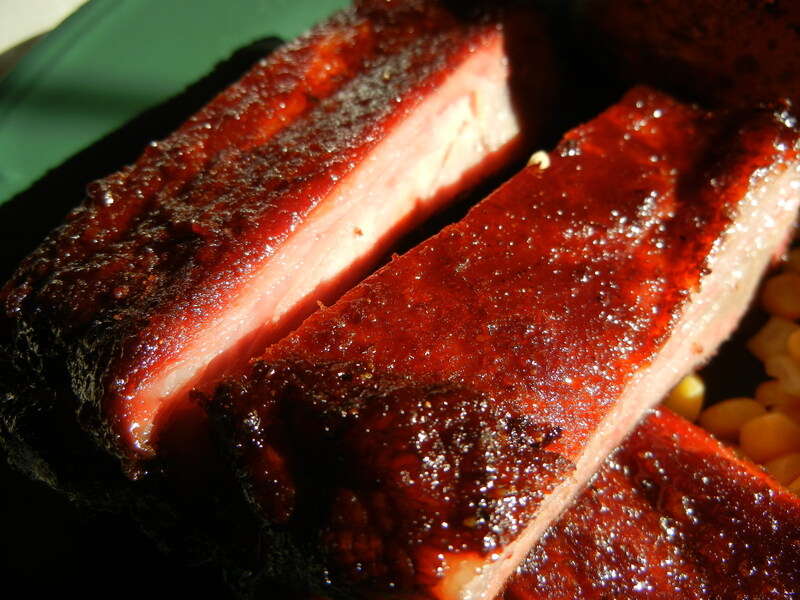 They turned out such a beautiful color too….I love smoked meat! In my next post, I will share with you my first attempt at smoking a whole chicken!